Posted 6/25/2018 7:53pm by Core Committee. 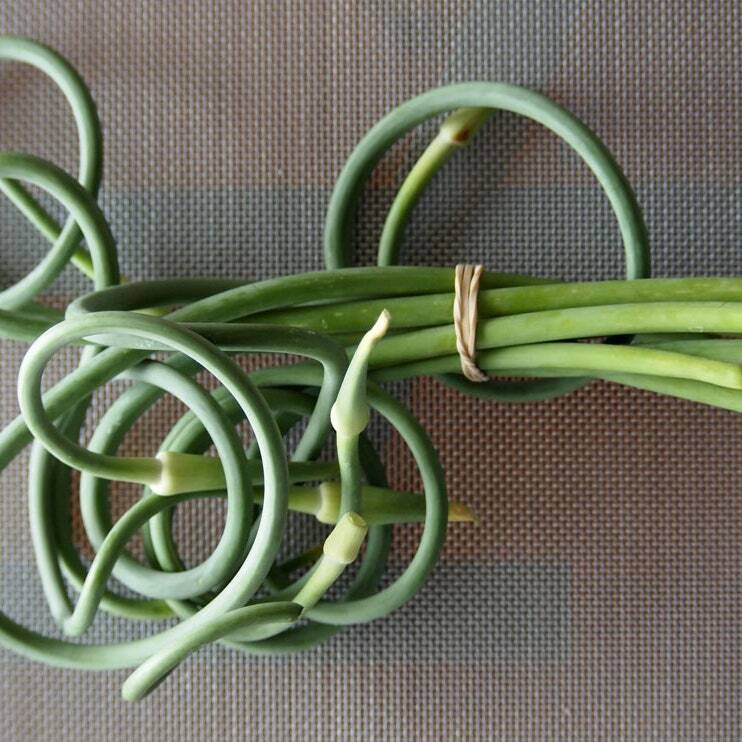 Another batch of garlic scapes is on the way tomorrow! If you're like me and still have a bag of them in the fridge, here is some inspiration on ways to use them up. I'm excited to try #7, pickling! Summer is in full swing now! More add-ons including fruit will start this week, in addition to our usual vegetables. We're looking for volunteers in the 2-4pm and 6-8:30pm time slots this week. Please email us at info@washingtonsquarecsa.com and let us know if you can help out. If you haven't had a chance to sign up for your first volunteer shift, be sure to do so here. Also note that next week, Tuesday July 3, we will be having a pick-up despite the holiday on the following day. If you will be out of town, take a moment to reach out to a friend or family member to pick up your share. Another week has passed by with yo-yo weather to perfect weather with highs in the 70s sunny and lows in the 50s. Crops are mostly growing very well all be it some of the summer crops are a bit behind. As reported earlier everything was planted 2 to 3 weeks late this year do to the never ending winter this year. We have a few new people helping us this year on the farm; an intern from Morrisville State College: Steven, and Waleed, whose family had a farm in Turkey but spent a big part of his life in Binghamton, NY. Haifa and I will start attending the NYC greenmarkets regularly starting this Friday, Saturday, and Sunday. Please stop by the market to visit with us if you have time. We have taken on an additional 80 acres this year as some of the land we initially started farming in 2000 needs to be taken out of production to give the soil a chance to rest and rejuvenate. This time of year is our busiest as we plant for fall harvest for markets and CSAs and tend to the early planted crops. Everyone is maxed out and a bit worn out. Last week most of our farm team celebrated the end of Ramadan and got some time off and went to Binghamton for prayers and celebration. This is our 20th year in business, how time flies, and we thank those CSAs that have helped us start in business and stay in business and we hope to serve you for many more years to come. We need you however to help revitalize the CSA movement as most farmers have seen a significant drop in CSA membership.